This handbook contains every aspect of constructing agricultural buildings, with clear explanations and illustrations. A classic with agriculture engineers. Used in hundreds of classrooms! Portions of this book, especially those dealing with structural design, are based on old or outdated building codes. 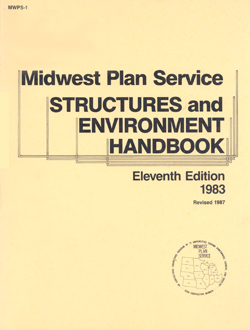 Neither MidWest Plan Service (MWPS) nor any of the cooperating land-grant universities or their respective agents or employees have made and do not hereby make any representation, warranty, or covenant with respect to the specifications for structural design described in this book. Use at your own risk!